When I was a child Mum and Dad had some friends who, for as long as I can remember, drove round in a Morris Minor Traveller. We used to get together regularly and if we went anywhere Mum and Dad used to be in their card and me, my sister and their other couple's 3 kids used to pile into the back of the Morris. Well before the days of compulsory car seats! It was a tight fit but it was great fun. This image brought back those happy memories. 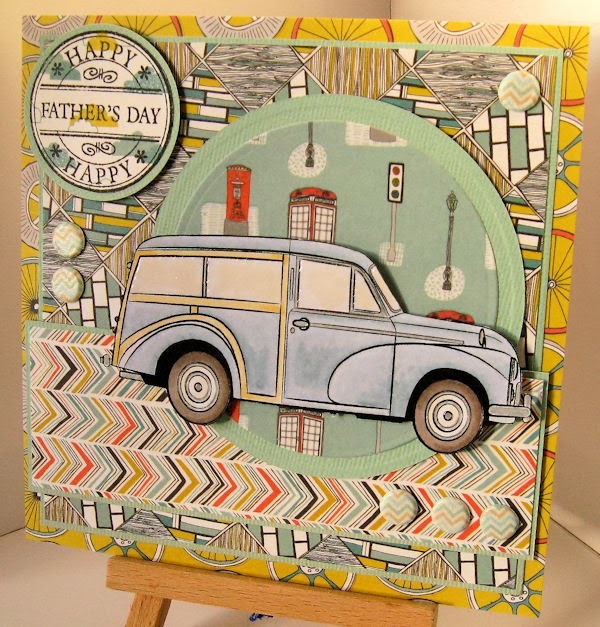 You can find the Morris Minor Traveller HERE, perfect for the vintage car enthusiast and it is another £1 digi bargain, get them while they're hot!! Yes readers, the lurid purple and lime green fur silky dressing gowns are back in fashion. But did they ever go out of fashion for Wanda? I fear not. And she takes great pride in knowing that she has a matching rug. Weekend Wanda is available to buy in the store. Christmas is coming! 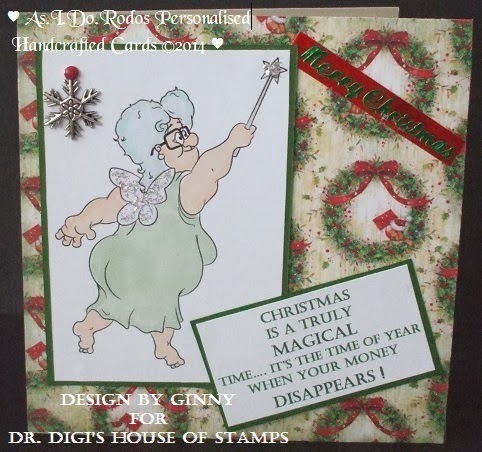 Phyllis the Festive Fairy is now a bit of a vintage fairy she has now joined the blue rinse brigade, and she only spreads her Christmas fairy dust in the privacy of her own home. Have you visited Dr. 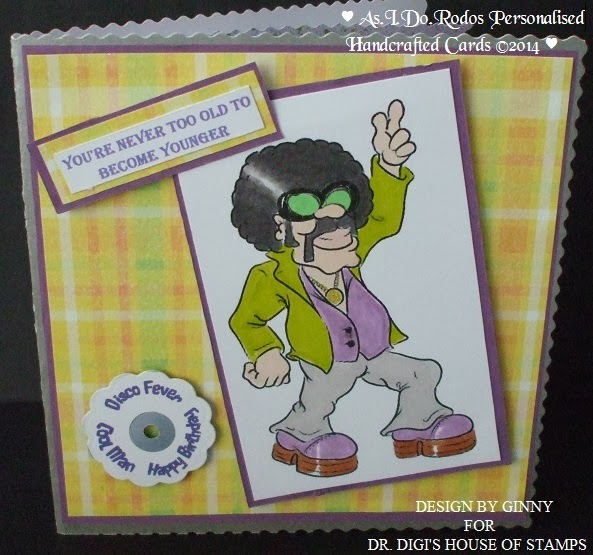 Dig's House of Stamps to see all the wonderful digi's the doctor has created? 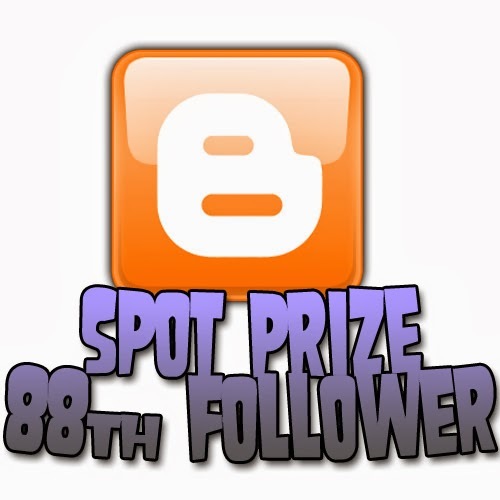 If you haven't been there lately then you have missed Lighbulb a free image! Or are there never gone??? Here is Syd with his guitar and lots of peace. 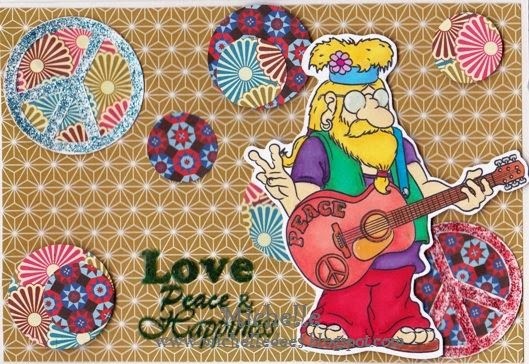 I think he has got a groovy way of living and hope to get some of his groove for me. If you like to see more here is my blog. Lovely greetings and a nice weekend. This cake is one of Dr Digi's £1 bargains and can be found HERE, now I am going to eat an apple and try and pretend it is cake, I have a good imagination but maybe not that good! Hi everyone, thanks for stopping by today. Let's meet Biffo. I have no idea what's making him so sad today but let me tell you while I was colouring Biffo I was anything but sad. In fact I was sat chuckling to myself the whole time. Such a sad but yet fun image don't you agree? 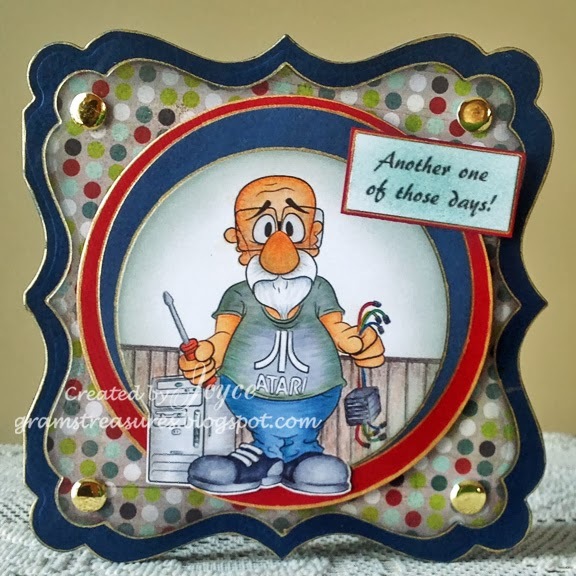 You can find biffo over at Dr Digi House of Stamps and more details on this card over on my blog. I had an idea it was your Birthday. 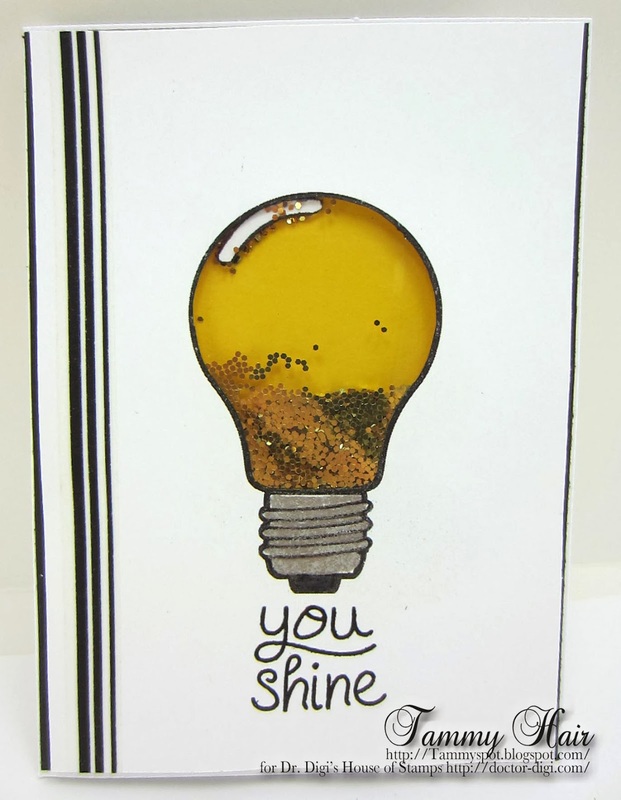 Quick and easy card to make with the fab lightbulb digi and some ransom note letters. And the best thing about the card, is that the digi is a current freebie in the store!! Today I chose this cute image Saucer Head! He can be used for different occasions I have used him to cheer up a little lad that is in hospital after an accident. He has whizzed down from outer space but he is still had L plates so it is touch and go if he finds the right planet. Two days after being wined and dined for Valentine's Day, Dr. Digi's House of Stamps, delicate Hangover Hannah is still not recovered! Of course, the two pounds of chocolate she ate yesterday hasn't helped! Gardening Gus is ready for Spring! This is another of the fabulous images from Dr Digi with a story to tell. While the rest of us are seriously wondering if the nasty winter weather will ever end, Gardening Gus is dreaming of spring and summer. He's been wanting to try on his new summer gear......and then why not pose for a picture in front of his garden poster. Of course, you will notice he wasn't ready to take off those warm winter socks yet! Well I think we can safely say that most of us have been there, done that but clearly the memories of the hangover don't last as many of us will have been there and done that again and again! Poor Hannah is looking a little green around the gills at the moment but a good fried breakfast with sort her out! Plus a nice, strong cup of tea! Hi everyone, Stacey here with this weeks card. Well someone here is hoping to get lucky tomorrow on Valentines Day. Derek has pulled out the best suit, polished the best shoes and been down the local florist to buy some treats for his lady. What a lucky lady she is huh? Who could refuse to be his? Let's hope Deirdery hasn't already made plans for tomorrow night! Valentine Derek can be found in the Dr Digi store HERE and more details on this card on my blog HERE. Here is a little something to help you remember warmer days and being outside without 7 thermal layers and waders. You can buy Green Fingers and Thumb from the store plus you can get a bundle deal if you want! That marrow is a whopper but to be honest, I'd rather be sitting in the summer house sipping something cold and alcoholic! This is a lovely lady is called Tea Trolly Dolly You can see her warm smile that gives out so much love, Dolly would cheer up anybody! 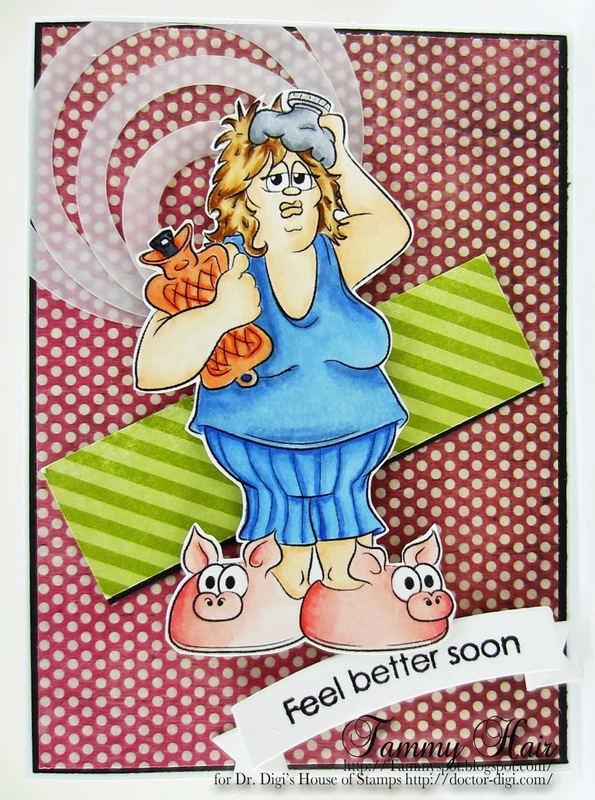 I have coloured her with promarkers and Fleximarkers and a bit of paper piecing. 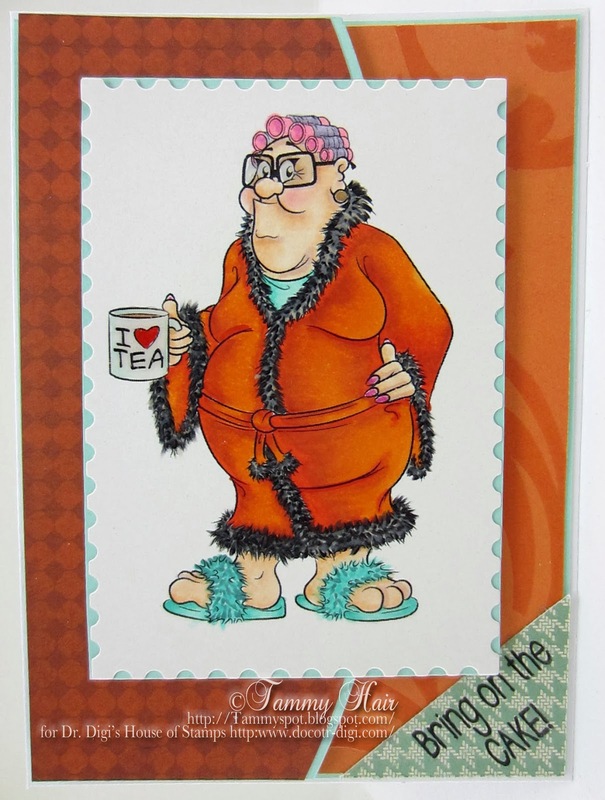 You can find Tea Trolley Dolly HERE and also the individual tea mugs HERE. 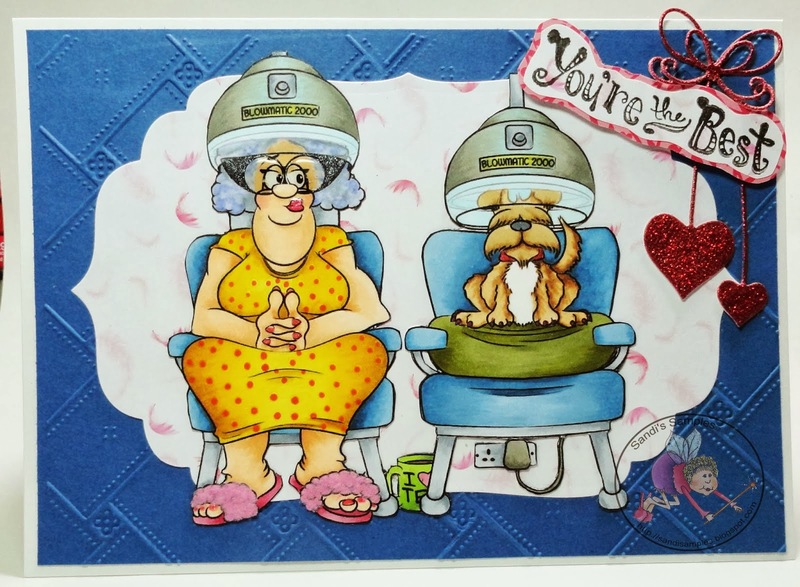 Weekend Wanda from Dr. Digi's House of Stamps, the devoted, over-pampered wife of Weekend Walter, has had an exhausting week, the beauty parlor twice, then a bit of shopping, it is so draining looking for just the right shoes to wear with the new dress she ordered. While trying on a dozen different shoes, it nicked her polished toenails so a pedicure was an absolute must and what good is a pedicure without a manicure! Now that the weekend is here, Wanda is ready to kick back but first she must compile a list of chores that Walter absolutely needs to get done before her mother's arrival on Monday! 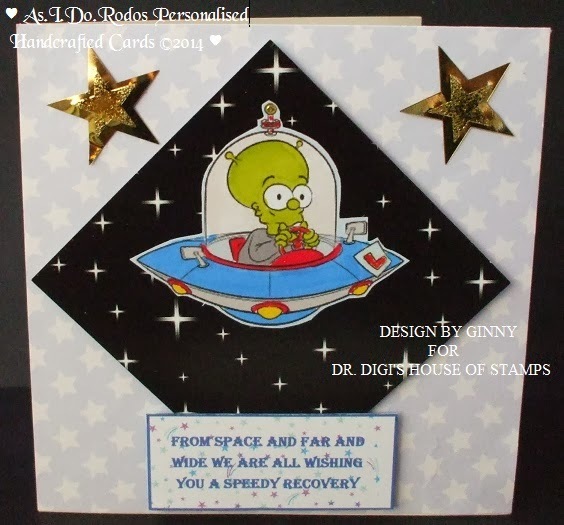 Today I made my first card for Doctor Digi's House of Stamps. I choose Ambrose King of The Waves. I look forward to the summer and warmer temperatures. 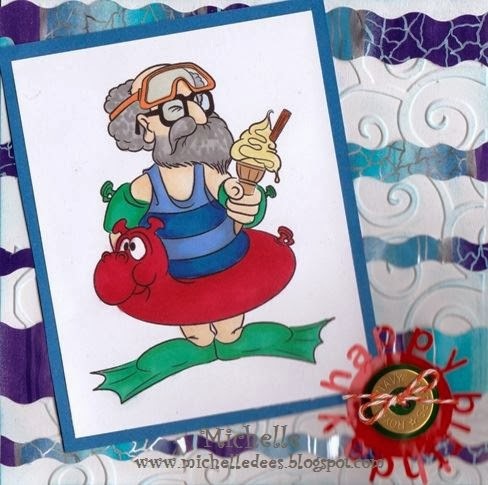 He also like the summer and already put on his swim ring and his flipper. 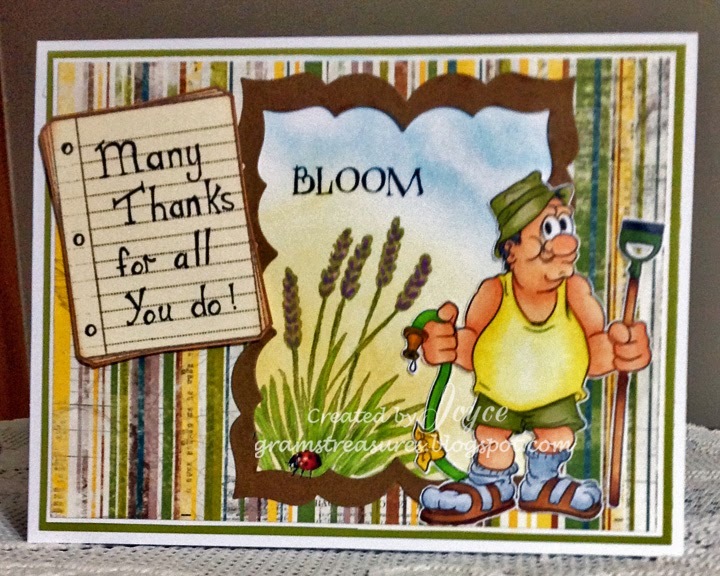 If you like to see more about the card take a look at my blog. Meet Schrodinger, Schrodinger wanders the halls of Dr Digi House of Stamps Mansion getting up to mischief hither and thither with a particular fondness for boxes. This card however is dedicated to my four felines who have a sixth sense and know exactly the time I start to play with twine, paper or anything else remotely crafty and come up to my desk to help me. Today's card is brought to you with the help of Frodo! Hi everyone, So last week I promised you all a card using Mr Speaker (Birthday) and here he is. 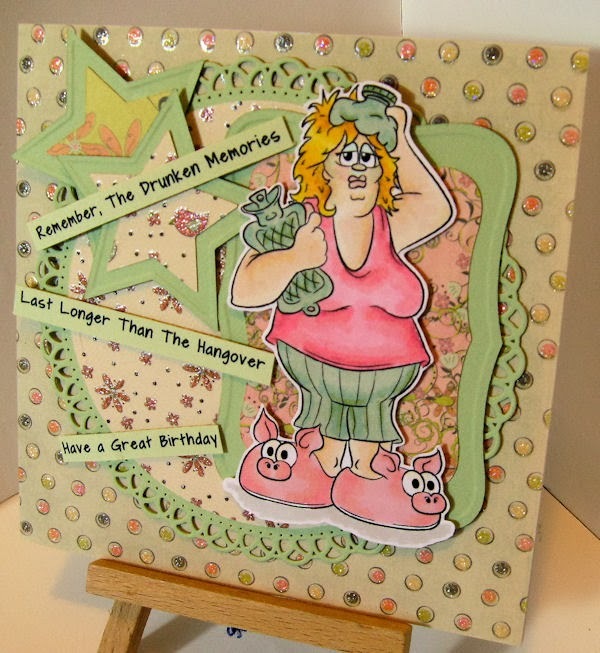 I made this card for my sister-in-laws boyfriend next week and think the sentiment I used fits his sense of humour. I think the last thing he will be doing is shouting out to the town that he is having ANOTHER birthday! It's strange only posting once a week, now that we have such a bustling roster of talented Design team members. 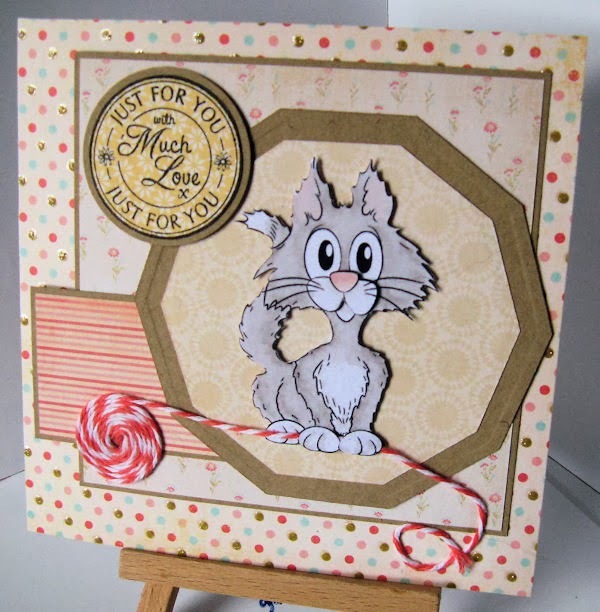 But we've still got plenty of talent out there working on challenges.. Gudrun over at I Love Promarkers is a prime example. 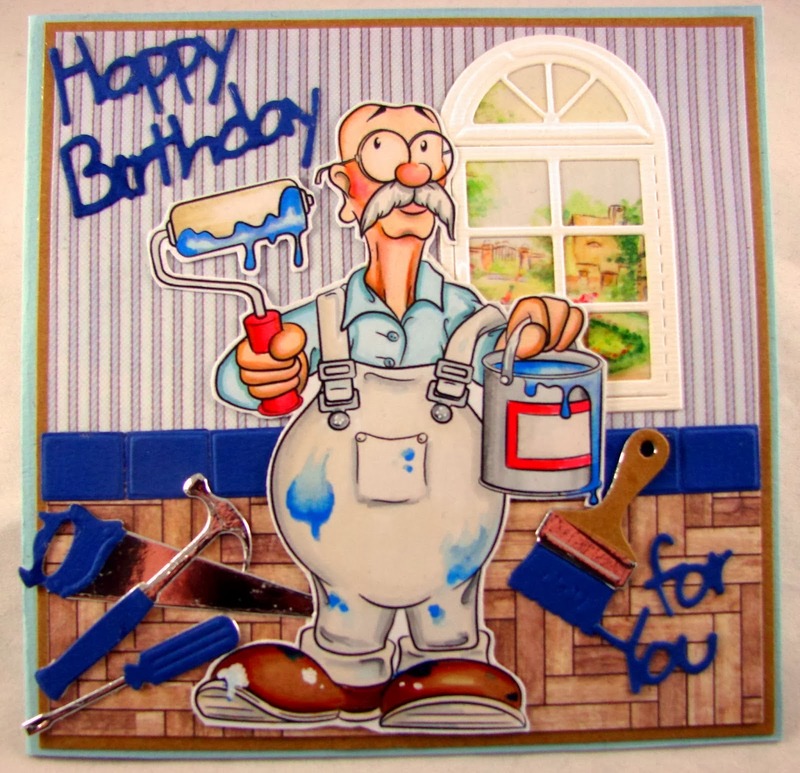 She's made a Fantastic birthday card with Dunderton Decorators Ltd.
Hole in One Hal will be out on the golf course no matter what the weather. Some say its his big personality that keeps him warm. Others say its his loud attire which emits a glow at 10 paces. You can buy Hal in the store along with the nice n quick background. And if you click on the background paper, you can bundle both the digi and background and save a quid! Get those dancing shoes on as Saturday Night Steven and his gold medallion is glimmering in those disco lights! We all know a guy that this image would be perfect for. I can remember our sons face when his dad tried to dance like John Travolta! 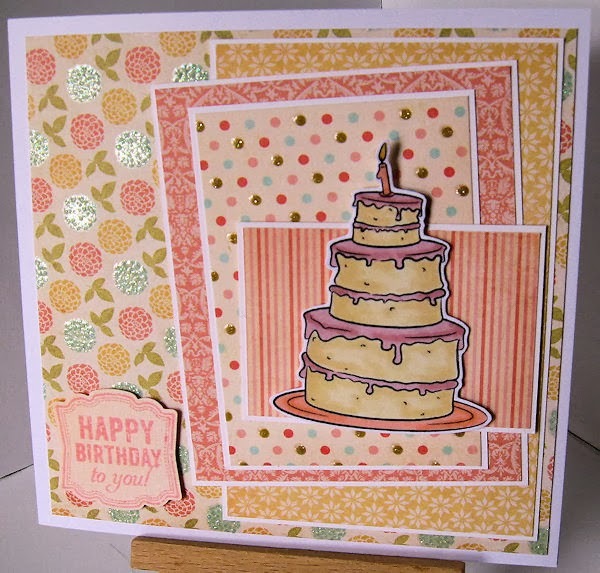 The digi can be found over at Dr Digi House of Stamps more details on this card can be found over on myblog. Hmmm? Could it be Santa with a shave and a hair cut? 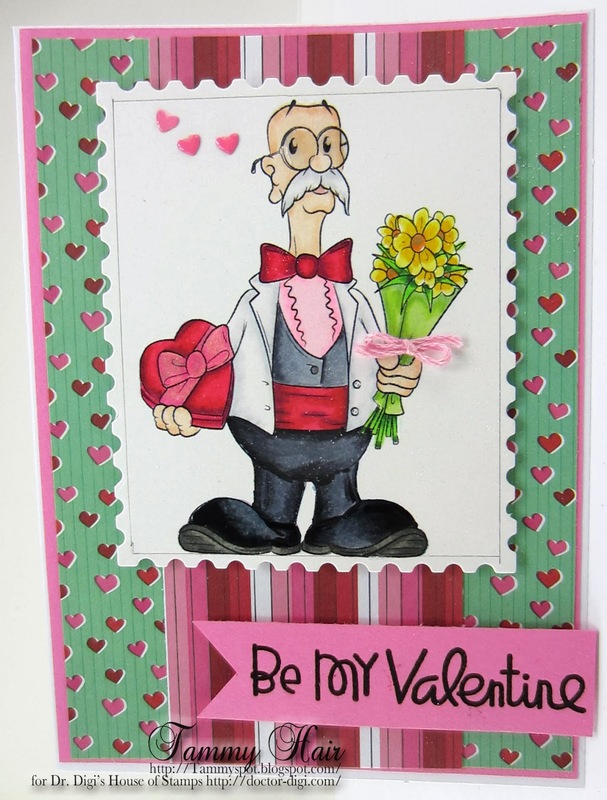 Nope, its Valentine Derek from Dr. Digi's House of Stamps, this year's poster child for love and romance! To make his lady friends feel special on Valentine's Day, he started planning and saving in June for the big day so when he knocks on your door, please do not delay him, you are one of many that he must visit to deliver his sweet treats of candy and flowers! Good morning folks. 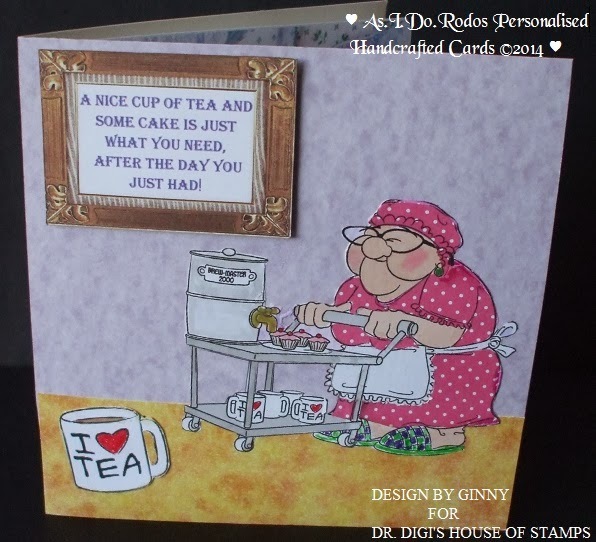 I'm here today with my first DT card for Dr Digi's House of Stamps. I'm sure to be having a bit of fun with these humorous images, and hope to bring a few smiles and chuckles your way, too. 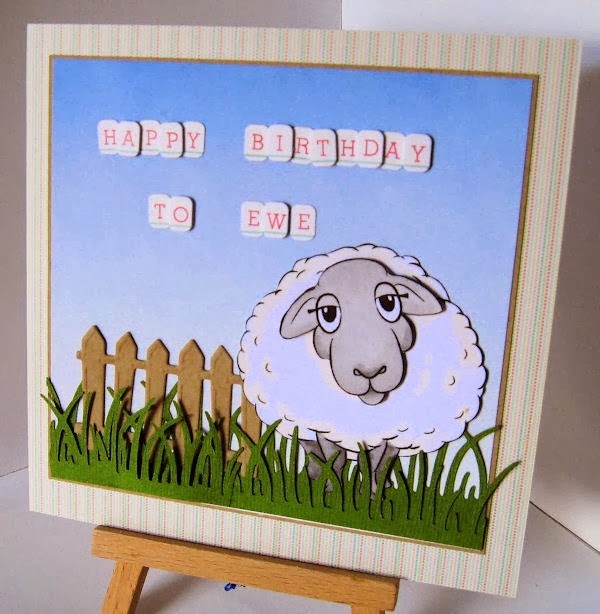 For today's card, I have for you..... I.T. Ian, and as you can see. things aren't perhaps going his way. He might be a regular 'Mr Fix It' around the house, but now..... well, he may need to read that computer book for dummies again! Isn't this the perfect image for all those techies or wannabe's that we know?